Botulinum Toxin (aka Botox) to Treat Depression? The authors of three independent double-blind, randomized, placebo controlled clinical trials will present “Botulinum Toxin, An Emerging Therapeutic for Depression” and their respective research study findings to mental health professionals at the XVI World Congress of Psychiatry (WCP2014) meeting in Madrid, Spain, on September 18th from 12:45-13:30 in Room 11 at the Madrid Congress and Convention Center. The WCP2014, organized by the World Psychiatric Association will take place September 14-18 in Madrid, and will focus on access, quality and humane care. Over ten thousand psychiatrists from all over the world are expected to be in attendance. According to the World Health Organization, over 350 million people of all ages suffer from depression globally. 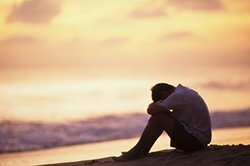 As of 2012 in the United States, an estimated 16 million adults aged 18 or older had at least one major depressive episode in the past year. Unfortunately, most people never seek treatment. Left undiagnosed and untreated, depression can worsen, cause untold suffering, and may even result in suicide. Oral antidepressants are designed to boost mood and relieve depression. However, one third of patients do not respond to oral medications. 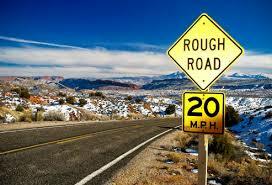 In addition, for some sufferers, side effects such as fatigue, nausea, insomnia, sedation and lack of sexual drive may be poorly tolerated. 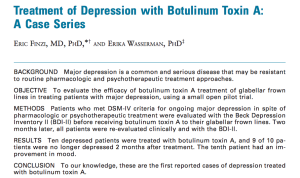 By contrast, botulinum toxin has few side effects in the doses used to treat depression. Botulinum toxin is FDA approved to treat a wide variety of health issues including urinary incontinence, migraine headaches, cerebral palsy, excessive sweating, and cervical dystonia, among others. In the largest study to date on the effect of botulinum toxin on depression, researchers Eric Finzi, MD, PhD, and Norman E. Rosenthal, MD, found that 52% of subjects suffering from moderate to severe depression showed relief from depression after injection of botulinum toxin to the glabellar area between the eyes, compared with only 15% of those who received the saline placebo. The study, “Treatment of depression with onabotulinumtoxinA: A randomized, double-blind, placebo controlled trial” was published in Journal of Psychiatric Research, Volume 52 (May 2014). These findings help to confirm a novel concept for mental health – using facial expressions to influence thoughts and feelings. Dr. Eric Finzi, a dermasurgeon and artist in the Washington, DC, metropolitan area, made global headlines in 2006 when his pilot study was the first to report the inhibition of facial frowning with Botox injection could help depressed patients. 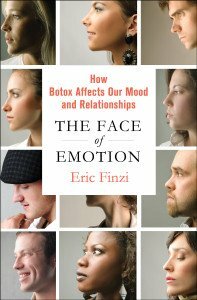 In The Face of Emotion, How Botox Affects Our Mood and Relationships, published by Palgrave Macmillan in 2013, Finzi explains his groundbreaking research and study findings in narrative form, weaving personal stories and rich historical accounts to showcase how his theory came to light. Finzi’s thinking, which dates back to Charles Darwin and William James’s facial feedback theory, marshals together evidence from psychology, neuroscience, art, evolutionary biology, family and patients, to show that facial expressions are a central driving force of our emotions, and that there is an unlikely ally available to tame them: Botox. 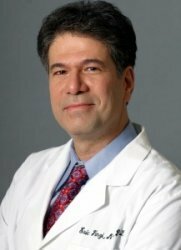 Dr. Eric Finzi and Sarah Bergman, a Botox for depression study patient, were interviewed by WRC-TV news anchor Barbara Harrison on Tuesday, April 1, 2014 about the latest study findings published in the Journal of Psychiatric Research in May 2014. As a psychiatrist who has treated many people with depression, I am truly excited at this new treatment option. Although there are many available treatments for this very painful affliction, they are often only partially effective and have troublesome side-effects. I am delighted that we now have a new treatment option which can be used safely alongside all other treatments (as the Botox acts only locally in the muscles and is not absorbed). In addition, when properly administered by a trained person, Botox has few if any side-effects. So, what’s the catch? Well, first of all, as with any treatment for depression, some people don’t respond; second, it is expensive – an average treatment costs about $400; and finally, the effects of Botox wear off after about 2 to 3 months, so treatments may need to be repeated. I hope that, with replication of our findings and wider use, insurance coverage may become available. In the meanwhile, for someone suffering from the agonizing pangs of depression, the benefit of Botox may be well worth the cost. 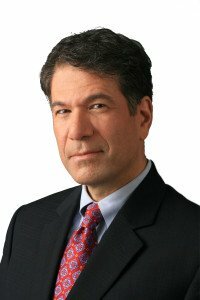 For an additional perspective check out the following link to a New York Times Op Ed piece by Dr. Richard Friedman on the subject – Don’t Worry, Get Botox. This journey started when I was a little boy, seeing my mother’s pain, and led unexpectedly to using botulinum toxin to treat depression. Sounds pretty far –fetched, but then many scientific discoveries are only logical in hindsight. 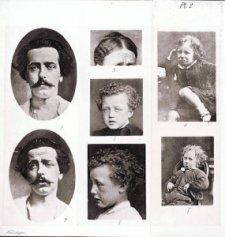 I will never forget the etched and furrowed brow of my depressed mother – her suffering became a memory that inspired me to try and figure out what role our facial expressions play in our mental health. 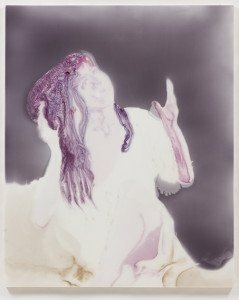 Serendipity drew me into the facial expression field- I am an artist and was intrigued by a riveting series of photographs of hysteric and depressed patients from the 19th century in the Parisenne hospital Salpetriere. I began working on paintings based on these women. To try and understand their world better I read authors from their time. 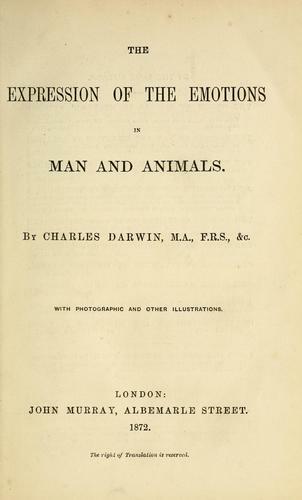 Freud led to Darwin’s gem of a book, The Expression of Emotions in Man and Animals from 1872. Wow! 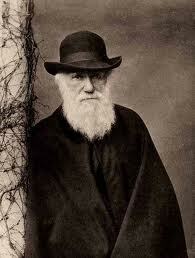 Reading this wonderful but relatively unknown work of Darwin’s opened my eyes to a new way of viewing emotion. 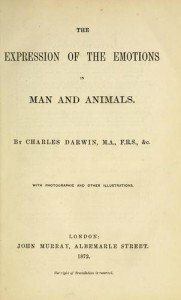 Darwin and William James, the American psychologist, both recognized that the bodily expression of our emotions really is the emotion, and that our facial expressions are a central driving force of our emotions. I found 40 years of research demonstrating that facial feedback to our brains really occurs. 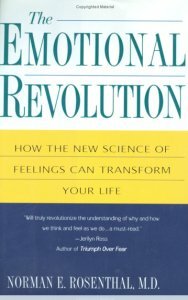 The more I read, the more I was convinced of the importance of facial expressions for our emotions and our mental health. Our emotions are embodied by our faces, embodied by the muscles that help move our lips, our eyes, our eyebrows. You need your smile to help you “feel” the emotion. Conversely, frowning will negatively affect your thinking, coloring your view of the world around you. But I realized that very few people were aware of this line of reasoning, or of why Botox could possibly help ones mood. The brain is measuring the strength of the frown muscle contraction, weighing it against the strength of the smile, which can been seen as the pulse of the positive feelings of happiness – and then producing an emotion. I call this emotional proprioception- just as your mind tracks the smallest movements of your hands or feet, it is tracking those little muscles that control your face. The next step was to repeat my clinical trial, but this time with more patients and in a trial that was blinded and controlled. 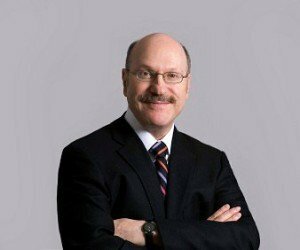 I had the good fortune to be introduced to a really open-minded and astute psychiatrist, Norman Rosenthal, a kindred spirit who had worked for many years at the National Institutes of Mental Health before heading up a clinical trial center. So Rosenthal and I began our fruitful collaboration and embarked on a controlled study of Botox depression with his fine team of psychiatrists. We entered 74 depressed people into a double blind, placebo controlled study and when we finally analyzed the data, the results were clear and strong. Botox beat placebo, significantly reducing depression levels, regardless of whether patients were already on antidepressants (to which they had not responded) or were untreated. As a son who watched helplessly as his mother suffered so miserably from depression, I am heartened at a potential new treatment option for this debilitating disease. And I am encouraged by discussion of our new study by Dr. Richard Friedman, in an Op Ed piece in the The New York Times Sunday Review section on March 23, 2014. Only by much dialogue that generates interest among mainstream physicians will the research be propelled along. Although there are many available treatments for this very painful affliction, none were successful for my mother. I hope that, with replication of our findings, FDA approval will eventually follow, and someone else’s mother will be able to live a normal life.